It never fails the media hypes up a shooting event and people come running to the gun store to buy up the inventory before it all gets banned. There’s nothing like someone telling me how pro-gun they are as they buy a $400 DPMS Ar-15 with the hopes they can gouge their buddy later that year if inventory gets low or some stupid cosmetic ban does take place. Guns are great investment when the Anti-gunners point out that there are 130 million gun-owners in the United States that also means there are 130 million potential collectors/investors. Just like the stock market buy low sell high is your goal if it’s your chosen medium as an investment. Only the Ar-15 is made by SO many people and quality varies to such a large degree and frankly the average buyer just has no clue what the difference between quality and just what is flat out expensive. Assault weapon ban talk always focus’s around the AR-15, they never seem to tell the story when the M16 later the M4(Full auto or 3 shot burst version of AR-15) came out in Vietnam the troops rejected it because it wasn’t as good at taking down bad guys as the M-14 (Full Auto version of M1A but was usually used in Semi-Automatic mode) Problems with the lack of chrome lined barrels which the White House Whiz kids under President John Kennedy rejected as an “Adder” that was unnecessary proved to be fatal because the M-16 was sold as a gun that didn’t need cleaning. While it has a forward Assist to jam a dirty bullet home, so it will still fire. An AR-15 without a Forward Assist is a useless weapon in combat. 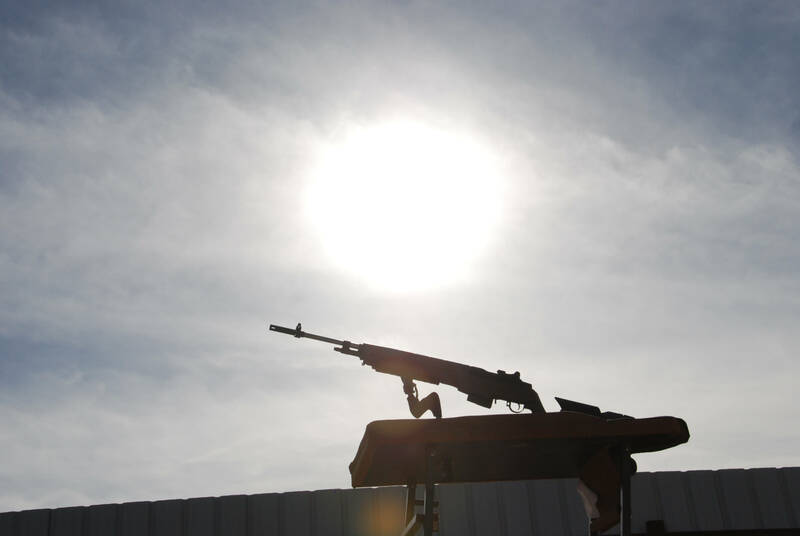 The M-14 on the other hand tended to endure more mud and dirt but all guns require cleaning even the Famed AK-47 carried by enemies around the world. 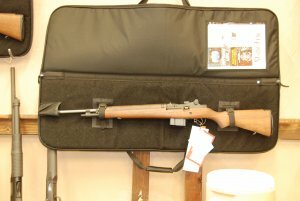 With the superior killing power of the Springfield M1A over the AR-15 it never gets the civilian acclaim because its not a cheap rifle and the truly common factor of “Assault weapon” having criminals, its always the cheapest gun you can find that has a “look” and its that look that matters more than function. Hell, a 9mm HI point rifle is a fraction of the cost of an AR-15 and would be far superior in a killing spree in a Gun-Free zone but the damn thing is ugly as sin and you won’t look as cool in your YouTube manifesto Video. You don’t need to step up the quality of your weaponry until you plan to engage a good guy with a gun and that seems to end the event every single time. Sadly, Bad guys have zero plan to engage anyone who can shoot back. Yet when the cries for new laws come ringing down even the guns like the M1A get swept up in the mess. Along with property rights in general because manufactures will then need approval to “invent” and the government goal will not be to make things better, just the opposite. This is by far the reasoning behind they new laws and regulation is to enforce an appointed person to governments right to tell you how to design your product. It’s a backdoor way of seizing property rights both real and intellectual. The M1A is a very heavy gun by todays standards, only heavy isn’t bad. Heavy means less shake and wobble as you look down the sights. In Fact when we got our 3 guns we are shooting for this article in I went out with our 6.5 Creedmoor M1A with a 25 mile cross wind standing. Diabetes hands shaking, my right eye like looking through a marble these days and Squeeze, Squeeze, Squeeze, as my sight picture did figure 8’s around the steel. But Ding, Ding, Ding. 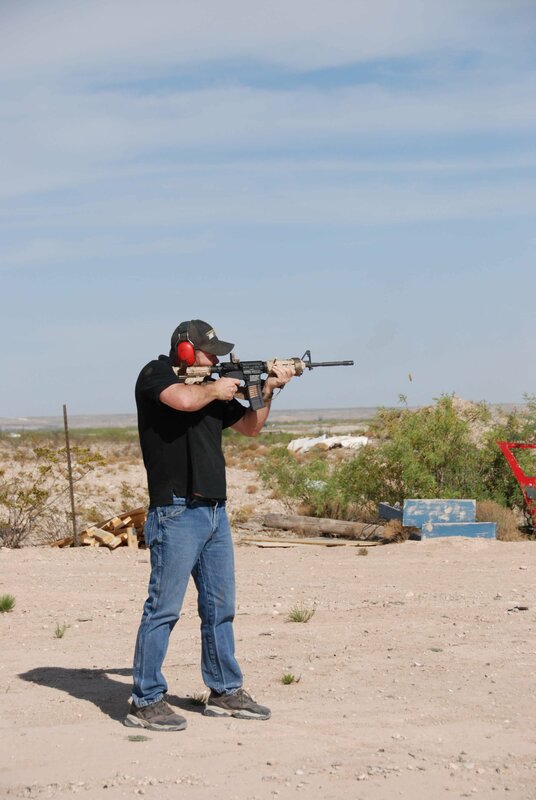 Practice and timing helps but so does a very heavy gun to keep movement steady versus the light weight over jerk. The M1A makes the average shooter look like a long-distance God and the superior Shooter look well as you would expect. That was me just wanting to shoot the 6.5 Creedmoor, we were going to have to wait for no wind to do a proper shoot test, which we did a few weeks later during the photo shoot. This article is not about buying a superior gun for use, but it is about buying the right gun at the right time for INVESTMENT. GunMuse coined the term “investment grade” in weapons because it was getting lost that some people buy firearms for historical and pleasured reasons the same as someone who would collect Pontiac Firebirds. There is no personal practical reason other than love and investment. The anti-gun left can’t envision beyond the shallow response to gun ownership. Never seems to find the ability of a human being to be at fault for their own actions. When an African Warlord buys 10,000 guns with the purpose of killing Christians it’s the guns fault. It’s as if the murder is ok but not the method, hmmm. For investment though we deal with what IS. Not trying to make judgement on what others are doing with their time and opinions but moving our money in a direction that makes sense in a positive manner while still pursuing personal passion. Moving a NEW gun into an investment grade for us is not easy as there is always potential for the manufacture to change what has been decades of production numbers and methods and try to saturate a market that drifts up due to demand. Gun Retailers are the worst cog in the line when dealing with collectable inventory. Even as I write this in 2018 as the ONLY inventory for the year is being shipped to distributors dealers are all holding sales as low as $20 dollars over cost. Trying to get rid of the slower moving high cost M1A’s they bought as part of their dealer packages even though locally they may not of had a base for its purchase. As part of dealer packages dealers are often required to buy and stock a few high dollar items and frankly its to their benefit. Still with firearm retailers clearing barely 2.2% of gross after all costs involved holding high dollar inventory is very scary. The desire to dump a $2500 weapon in favor of 5 $500 pistols which sells 4x’s faster than a rifle is smart business in some markets. The web has made the panicked dealer the price standard often promoting a gun they don’t have at give away prices because that dealer can’t service an investor market but his EGO makes him think he can do anything. Springfield Armory has been very responsible in their production limits while still introducing variations to keep collectors happy. With the recent news on more cosmetic bans on firearms the M1A is surely to take a hit just like the AR-15 although any gun over 11lbs should be exempted. 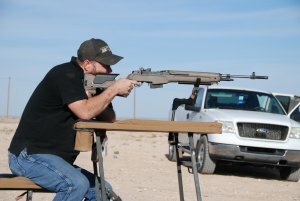 Maybe do to kids in high school what they did to us in the military fill an M1A with lead and make you exercise with the damn thing nothing makes you want to avoid touching like maintaining discipline while doing 1000 8 count body builders keeping your weapon off the ground at all times. I chose carefully and picked 3 M1A’s to put in the investment grade category. So why pick these 3 there are definitely cheaper M1A’s? The first 2 has to do with the National Match history as well as the dwindling market of guns with Wood Stocks. The time it takes to cure wood properly in todays high cost in taxation, labor and skill required to do it properly is why this is disappearing from the market. To a manufacture reducing the cost of a weapon a few hundred dollars and increasing profit per sale at the same time sounds like good business and it is, but to the investor wood is key. Its as simple as what do you want to leave your kids or grandkids. Injected molded plastic that can’t be fixed if its scratched or a wood stock that some scratches has character to the look and doesn’t destroy the value because wood is fixable. Plus these match grade M1A’s have much better sight systems that are hundreds of dollars when you have to replace or add them later and the pedigree of the weapon (born as that model or cloned to it) always will affect its value. Then there’s the fully loaded 6.5 Creedmoor. The 6.5 is the flavor of the moment and these usually only last a few years when splash purchase of a new caliber fades. The 6.5 is ballistically perfect for long range shooting going back to the 6.5 Swed and odd ball calibers always bring a premium. The version we chose has all the bells and whistles for making long range shots and we have had these guns on display monitoring public reaction for months there is a draw to the look of the gun, while the look was not the goal the stock is designed to be very functionable. 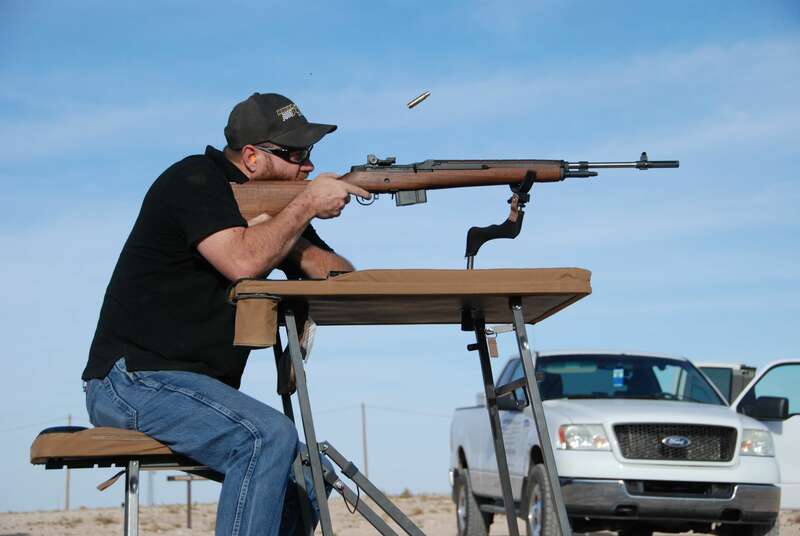 When we compare M1A’s to top quality AR-10’s like the Rock River there is just too much capability for people to think they can build one and we have seen hundreds of these garage built disasters that to the novice look and functions there for its quality. The metallurgy of the receivers is garbage with Chinese built accessories at premium prices. (Are you really paying $150 for a handguard from China…wow). This started with the Sandy Hook incident where quality AR’s (Stag RockRiver Les Bahr) were $3000 with a Bushmaster over at Wal-Mart for $600 and the rumor that your “just buying a name” often stated by a person who doesn’t use the weapons for competition or daily use at their job. Like the Baseball card market of the 90’s so many new Base Ball Cards took the value from the truly collectable cards because the market size didn’t change just the direction of the consumers dollar trying to hit future home runs, like someone walking in buying cheap AR’s hoping to sell to their buddy quickly at mark up.